As I expected, there has been a lot of heated discussion following the disqualification of Camilo Villegas in Kapalua last week (see last week's blog). There are two main points of contention. Should Pro Golf Tours officials review Rules incidents reported by television viewers? Should a player be disqualified after returning a score card that does not include a penalty that they did not know they had incurred? Where is one supposed to draw the line about reporting the breach of a Rule, which obviously affects the rights of all the other competitors in the same competition? The Rules require a marker to include any breach of Rule incurred by the player whose card they are marking before signing it. Most of us would agree that anyone else playing in the same group also has a responsibility to report any penalty infringement. If there is a referee or rules official following a group they are duty bound to report breaches. Why then is it so wrong for a spectator, on or off the course, to bring attention to penalties incurred by players, most of whom would prefer to take the penalty rather than ‘get away with it’ to the detriment of every other player in the same competition? 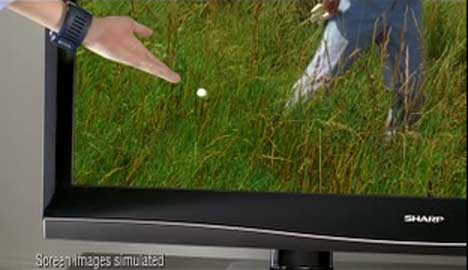 As Paul Azinger said, “TV protects the field”. One Rules incident that did not result in a tour player being disqualified arose in February 2009. Long after the competition was over, video evidence was produced of Kenny Perry purportedly improving his lie in the rough before taking his stroke. There has been so much controversy over this issue since then, that I would wager that Kenny Perry would rather it had been brought to the attention of the Rules Officials before the close of the competition, so that he could either have been penalised or exonerated, and the incident would have long been forgotten. Click here if you have not seen this incident. I have even read a suggestion that the Pro Tours should have rules officials watching every moment of every golf telecast and that they should be the only ones permitted to report any problems. Talk about taking a sledgehammer to crack a nut! This would be a totally unnecessary additional expense and would not stop viewers phoning in anyway. Surely, in any competitive golf competition, if a player breaks a Rule they should be penalised, it shouldn’t matter who reports it. I feel just as strongly on the second point as to whether a player should be disqualified for signing a score card that did not include a penalty that they did not know they had incurred. In my opinion, this is a major reason why the game of golf is widely recognised as having higher integrity amongst its players than any other sport. Golf is the only major sport where the player is responsible for knowing the Rules (Rule 6-1) and for declaring their own penalties. If a player was in a situation where they were unsure whether an action incurred a penalty, or not, e.g. lifting a leaf lying alongside their ball in a bunker, and they knew that if it was a breach it would be a two stroke penalty whether they declared it straight away or whether it was discovered long afterwards, they would be less likely to check the ruling before returning their card. Disqualifying a player who returns a score card without including a penalty ensures that every effort will be made to get a correct ruling before the card is signed and returned. If it wasn’t for this Rule players would have no incentive to call penalties on themselves, to the eventual detriment of the sport. Why is that so hard for some to understand? Any non-reported penalty results in just one golfer benefiting and every other competitor in the competition losing. The status quo ensures that players are encouraged to obtain a better understanding of the Rules and if you are not respecting the Rules of Golf when you play, then you are not playing golf. If you would like to receive notification of my blogs (usually weekly) then scroll to the top of this screen and enter your email address in the box under where it says, ‘Subscribe via email’. I enjoyed the first few posts I've read. Keep up the good work. I'll be back. I have added your blog url to my golf blog as well. Hopefully, others can learn the rules through your unique approach.